I WILL change the financial blueprint of my family and my entire teams’ families! 2018 has been an exceptional year. At top of the year I became an Ambassador, and by the bottom of the year I WILL be a Director in PlanNet Marketing. After three years of hard work and persistence, I can say in 2019 I WILL be a better version of myself. I will continue to immerse myself in my business by cultivating productive and reliable relationships that will propel me forward in my business and in turn be a blessing to others. Be intentional and on purpose! Posture indeed is everything. I WILL become a Three-Star Director and six-figure income earner from home. I WILL produce (3) Two-Star Directors. I WILL create ten One-Star directors and minimum 20 Directors in Training. Lastly, I WILL help 50 people become Gold Builders and above. I WILL join that phenomenal club of Directors in Training, cheer on, encourage and support three Gold Builders, three Silver Builders and two Bronze Builders. I WILL also become adept at presenting the presentation, attend Eagle weekend and the National Convention. 2019 will be the year that I get out of my own way! One of my 2019 goals is to save $10,000 in cash. My mentor Mr. Donald Bradley told me, “Ten is the new zero!” So, making $10,000 my ‘zero’ is a must for 2019 and making sure I never fall below that. Next, will be $20K. Then, teach others how I did it! I WILL be a Director maker and I WILL hit Two-Star Director in 2019. I WILL impact the lives of at least 300 families and get them on the road to financial freedom. I WILL continue to help thousands of people all over the world! Helping individuals save more, travel more and earn all at the same time is a blessing! Going into 2019...I WILL remain consistent, I WILL continue to travel, I WILL build a six-figure income business simply by helping others earn on what people are doing rapidly every day! I WILL be expanding my brand and team beyond South Carolina! I WILL be successful! ﻿I WILL go back to school and work more on my house in 2019! Some of my goals for 2019 are to travel to seven different places I have on my bucket list. I also want to help 100 more families reach their goals and be a part of our PlanNet family! And also finish my degree in Communications. I WILL focus on taking better care of me so that I can care for those around me. I WILL care for my body, mind and soul. I WILL say yes when I can and say no when I must - no guilt. I WILL value me and my needs and my wants. I WILL prioritize relationships and not technology. I WILL actively push myself outside of my comfort zone to better my life and my family's lives. I WILL push to greater heights and allow myself to enjoy the view! Bring it on 2019! I WILL personally help or be an avenue to helping other families Save, Earn, and Travel more! I have "written" goals that I am holding myself to accomplishing! To create the LEGACY of Success in 2019 by becoming a Director is the most important of them all! In 2019 I will empower 1500 families, create ten new Directors, become a Four-Star Director and earn my ring. One of my goals for 2019 is to become a Director and to get a Gold Builder on my team!!! My goal for 2019 is to get to Two-Star Director. My goal for 2019 is to become a One-Star Director and help 20 new people go Gold in 2019! When Mr. Bradley visits Houston Texas, you know there's always a meeting or two after the meeting and there's always one word or sentence from his coaching that he may speak which will manifest within me. In 2016 before I became a One-Star Director, that one sentence was "Continue the Activity." Mr. Bradley stated, “If you want to become a Director with PlanNet Marketing, you must continue the activity as if you were just starting your business,” and I did! At his last visit to Houston, he and I were having a conversation and he stated, "You have to become BOLDER!" So, my 2019 goal is to become BOLDER and take my organization to the next level, TWO-STAR DIRECTOR! In 2019 I WILL have five new One-Star Directors - two new Two-Star Directors - one new Three-Star director - and I WILL help and support those who want Bronze, Silver, Gold and 20/20. Build confidence with public speaking - this is a massive personal goal. I WILL BE A FOUR-STAR DIRECTOR. In 2019, I WILL definitely make One-Star Director and be very close to making Two-Star Director!!! One of my goals for 2019 is that I WILL have 200 partners in my organization by April 1st and I WILL become Two-Star Director by August 1st. I WILL Secure the PlanNet Pledge for my family! I WILL help at least two other families secure the PlanNet Pledge in 2019 as well. In 2019 I WILL become a One-Star Director. In 2019, I WILL earn my Sapphire ring and attend the 2019 Convention with ten Directors within my organization. My goal for 2019 is to hit Directorship! In 2019, I WILL be more aware of others and their needs and become a better version of myself. I WILL be a One-Star Director with PlanNet Marketing on or before our convention on September 27, 2019. My objectives are to become a 20/20 Club Member and to produce one Director-in-Training and three Gold Builders. I WILL become a One-Star Director in 2019! In 2019 I WILL help empower people to live their best lives, and in turn, I WILL live mine! Let's do this, 2019! I'm ready! Here is one SMART goal that I have for 2019: Read at least one self-development book every month in 2019. Our goal is to help as many as possible in the PlanNet flock to flourish in 2019. In 2019 I WILL become a One-Star Director in PlanNet Marketing and a member of the 40/40 Club. I'm going to dedicate my time, WORK HARD and follow my leadership in order to FREE FAMILIES ONE AT A TIME. I WILL hold everyone in my life accountable for their mind, body, and spirit (including myself). When I do this, my family, friends and team will be unstoppable for a very long time. I WILL become a six-figure income earner in PlanNet Marketing by September 2019 and birth seven six-figure income earners who have partnered with me in business by December 2019. My team and I WILL position 300 more families for financial freedom through this powerful wealth strategy before December 2019! My 2019 goal is to be a Two-Star Director by the end of 2019. We WILL ensure to live out our dreams and create amazing first time memories for our family and business partners in 2019. In 2019, I WILL become a Three-Star Director and produce two One-Star Directors. I WILL be one of the top 100 income earners in PlanNet Marketing. I am both grateful and thankful to have positioned myself to help others position themselves and their families to be FINANCIALLY Free!! I WILL fight for my family’s freedom and the freedom of others connected to me! Quitting is definitely not an option, as others’ lives depend upon me becoming and remaining a Freedom Fighter! I WILL help more families in 2019 and become a Four-Star Team! It is such a joy to be a part of this amazing company! I, Mindy Kay, will become a Director in 2019! I WILL be a Two-Star Director by Convention 2019 and I WILL produce a One-Star Director in 2019. I WILL continue to fight for financial freedom for myself and others. I WILL be a Director maker in 2019! My goal for the year 2019 is to become a Director and help 100 families take their next step towards financial freedom. I’m hoping to have helped at least 10 people hit Gold Builder or above! I WILL help four of my leaders qualify for One-Star Director. In 2019 I WILL qualify for my Sapphire ring. I WILL become a proud member of the prestigious 40/40 club as well as receive my jacket and first star as a successful PlanNet Marketing Director! I WILL help create freedom for 20 new families personally...become 40/40. I WILL help three families become One-Star Director…and with the help of my team, I WILL become a Three-Star Director. My goal is to leave a positive impact on everyone I encounter with the intent of bettering their lives in some way. I WILL help more people exceed their goals than I did in 2018 AND I WILL become a Sapphire Ring wearer in the process. My 2019 goals are to reach 20/20, Directorship and help my team reach their goals by continuing to coach and mentor. I WILL for the people who cross my path…find a need and fill it. Find a hurt and heal it. Find a problem and solve it. My 2019 goals are to reach One-Star Director by or on January 15, 2019, join the Top 100 Director Roster, and help three core runners to rank as Gold Builders within my organization by March 15, 2019. My biggest goal for 2019 is to be retired from my job this time next year and working my business full-time! Thanks to PlanNet Marketing, I know it's possible. For 2019, I WILL hit the elliptical exercise machine five days a week! That's it. For years I engaged the elliptical routine almost daily but dropped it a couple of years ago for no reason. When I was on that program - 30 minutes, two miles, five days a week - I felt better and was trimmer. I am gonna do it again! In 2019, I WILL build my team to 1000 people! I WILL in 2019 as a team help 300 families to position themselves, to finally live their dreams, fulfill their needs, desires and goals and to truly change the financial geology for their family and generations to come. I have several goals set for the year of 2019!!! When strategizing how I will achieve them and what will help along the way I think, "I WILL compete and not compare, I WILL always do my best, I WILL run my race and go through the tape in 2019." WE WILL help our team reach THEIR goals for 2019! Bronze, Silver, Gold, and Directorship! Only by serving THEIR needs will we achieve OURS! I WILL not give up! I WILL not quit! I WILL win! I WILL be free! I WILL be successful! I WILL be victorious in 2019! I WILL: 1: Personally have a total of at least 50 partners in 2019. 2: Achieve my weekly and monthly financial goals in 2019. 3: Birth, coach, train and develop a ONE-STAR LEADER in my organization in 2019. In 2019 WE WILL become better listeners to become better leaders, and to NOT miss any events we are qualified to attend. WE WILL help a minimum of five families earn an additional $1000 residual per month in 2019!! I WILL help 300 families position themselves for financial freedom in 2019!! In 2019 I WILL help more families remove poverty from their bloodline and become a Two-Star Director in PlanNet Marketing. I WILL have helped 500 families and be a Three-Star Director by the end of 2019. I can, and I WILL achieve any goal worth having in 2019 #Committed. In 2019, I WILL make it, save it, and invest it while HELPING and SERVING people every step of the way! My ASSIGNMENT continues, and the best is yet to be DISCOVERED!!! I WILL exceed my own expectations in 2019. Be more kind and patient. In 2019, I WILL have one of the strongest and fastest growing organizations, be a six-figure income earner, be a Two-Star then a Three-Star Director, produce at least three more Directors and help many more families position themselves to obtain financial freedom. I WILL help 500 families in 2019. I WILL be a Two-Three-Star Director in 2019. I WILL empower five people on my team to achieve Directorship in 2019! I WILL put my heart and soul into PlanNet to help as many families as possible, and by blessing them, the team will achieve the desire of our hearts to help PlanNet become one of the largest and best companies worldwide. In 2019, our goal is to create more Directors in our organization and become a Three-Star Director in PlanNet Marketing. In 2019, I WILL focus more on self-development by reading more books and implementing the information I have learned. 2019 will be the best year of my life!! I WILL financially impact 100 families in 2019. I WILL make all the big events I am qualified to attend. I WILL in 2019! This is the new year, the new me, and new goals!! You can pass through another year, coasting on cruise control. Or you can step out of your comfort zone, trying things you have never done before, and make 2019 the year that you elevate from where you are and soar high. Make it happen! My New Year’s resolution is to spend more time investing in relationships with the people that I care most about, from spending time with my kids, husband, and family, to reconnecting with friends that I lost touch with over the years. I WILL learn a new skill and will try to sleep more and better. In 2019, I WILL be a Three-Star Director by helping a minimum of two people get to Directorship, seven people to Gold Builder, four people to Silver Builder, and four people to Bronze Builder. I WILL live in my calling and purpose as God has designed it. I WILL take back what I handed over that’s ordained to be mine. I WILL declare and decree God’s will in 2019! I WILL enjoy the best year in every area of my life and in the best place on the PlanNet in 2019! Mike and I are striving to help 100 lives in 2019. By helping families along the way, we are learning to become a better version of ourselves and a stronger family as a whole. I WILL succeed with no distractions! I've always known my pace determines my success, there's no stopping me now in 2019! I WILL become a Director by March 31, 2019. I WILL in 2019 reach my goal in attaining Four-Star Director, qualify for the Ruby ring, and create two six-figure income earners. I WILL walk across the stage at 2019 Convention as new One-Star Director. I WILL be a Two-Star Director, 60/60, Top 100 income earner before convention 2019. I am determined to push forward and continue to set and achieve the first six-figure income earner in the first state. I thank Mr. and Mrs. Bradley for the opportunity and the stellar leadership of my Directors, mentor and Coach, Four-Star Director Eileen Ross and One-Star Erin Elzie. I would like to be a 20/20 Club Member by January 30, 2019, a Director-in-Training by March 16, 2019, and a One-Star Director by August 5, 2019. I WILL help more families experience financial freedom in 2019. I WILL help more families benefit from the PlanNet Marketing Pledge. I WILL become a One-Star Director and produce a One-Star Director! My goals are REACHING FOR THE STARS and taking as many people who are willing to REACH HIGHER. We WILL be One-Star Directors with PlanNet Marketing and help 20 more families into financial freedom in 2019. In 2019, WE WILL be six-figure income earners and Sapphire ring recipients first quarter of 2019. WE WILL have three Two-Star Directors by second quarter. We will produce at least five new Directors before the September convention. WE WILL continue to help people and change lives all over the world. Thank you, PlanNet Marketing! In 2019, I WILL read more and study more. I WILL help more than 100 families earn income through entrepreneurship in the travel industry, thus creating a legacy for my daughters, Njeri and Anisa Fulwood. I WILL be a One-Star Director in 2019! In 2019, I WILL personally help three people become six-figure earners. I WILL be INTENTIONAL about my business. I WILL help with the growth of PlanNet Marketing because I believe in the company. I WILL become a six-figure income earner with PlanNet Marketing by December 2019. I WILL continue to focus on market expansion. I WILL help business partners reach Directorship. I WILL help more families become retirement ready and financially free! I WILL remain coachable, leverage and allow myself to be leveraged! I will become a Three-Star Director, birth another Director, and help my people by training, coaching, and developing them to their desired next level! In 2019, I WILL conquer, overcome, and create massive WINS for myself and my team! I WILL become One-Star Director by the end of May 2019! I WILL THINK and ACT like a MILLIONAIRE in 2019. 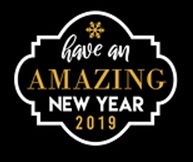 I WILL In 2019 continue to enrich and empower the lives of hundreds of families with the amazing opportunity that we have here with PlanNet Marketing! I declare in 2019, I WILL have better health and laser focus while working my business. My organization will grow to a Two-Star team and I WILL assist at least two teammates to reach Directorship. I WILL be a Director in 2019 and walk across the stage as a Director at convention. I will change my family’s financial future! I declare that, collectively as a team, WE WILL welcome another 1,350 new individuals into the PlanNet Marketing family. Five of my team members will achieve their goal of Directorship! Consequently, our organization will become a Three-Star organization in 2019. I WILL leave a will and not a bill for my family! 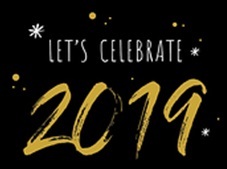 My 2019 goals are to reach 20/20 Club Member by March 31, 2019, attend my first annual conference in Orlando, reach 40/40 Club Member by December 31, 2019, become a One-Star Director before December 31, 2019, and meet Mr. Bradley and thank him personally for the opportunity. I WILL help 2000 more families this year! I WILL be a better leader and mentee! I WILL help create eight six-figure earners! I WILL be a better ME! WE WILL train, coach, and develop three of our newest business partners to become Gold Builders, while also birthing our second Director, and becoming Directors ourselves in 2019! WE WILL help enough families start their journey of success in 2019, that we may hit our next pin level by PlanNet Marketing’s four-year anniversary. I WILL impact and empower thousands of ordinary people to live an extraordinary lifestyle becoming financially free. I WILL remember where I came from and where PlanNet Marketing is taking me. I WILL allow my leadership to stretch me to my fullest potential. I WILL help everyone get their next pin level. I WILL be a Four-Star Director and I WILL be a six-figure earner, work from anywhere mom of six in PlanNet Marketing sporting that beautiful Sapphire Ring! I WILL boss up and I WILL not let the process punk me out of the promise....I CAN and I WILL! I WILL read more in 2019 than I have ever read in my life!! !